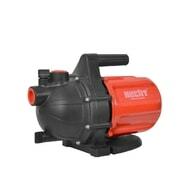 Electric powered surface garden pump with plastic chassis. 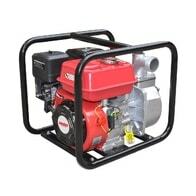 Power input 800 W, maximum displacement 38 m and maximum delivery volume 3200 l/h. Suitable for clean water. 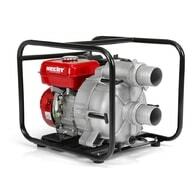 Petrol powered water pump with engine with a displacement of 43 cm3. Max. delivery height 35 m, max. delivery volume 15 000 l/h. Suitable for clean water. 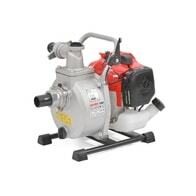 Powerful garden water pump suitable for quick drain of water.